Playup Perth has grown tremendously since its early days in the State Library of WA more than three years ago. We’ve seen the size of both our audience and venue grow steadily as time has gone on, but it hasn’t been until now that we’ve seen our team grow too! 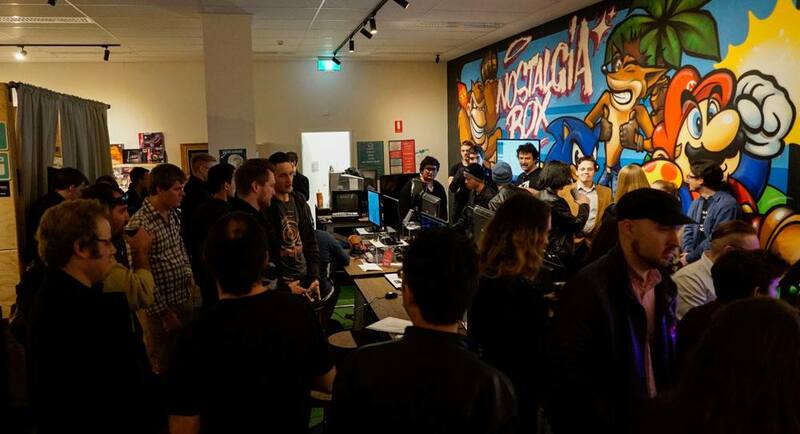 We want to help take Playup Perth to the next level, and we are confident that our revamped team is up to the task! 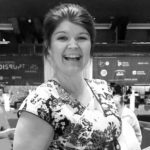 With too many accolades to count, Kate has been the driving force behind Playup Perth since she founded the event in 2014. 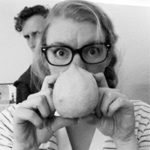 Recently featured in the ACS Innovator Series, Kate an award-winning professional speaker, game designer and researcher who runs Games We Play, an award-winning games consultancy that creates games for education, community and social impact. 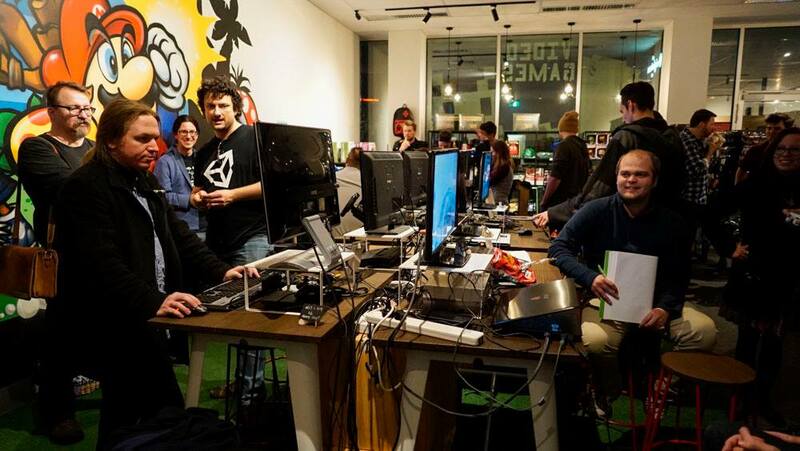 From 2014 to 2017, Kate also created and ran the Games & Interactive program at FTI, garnering local Perth games much needed public attention (and funding!). Kate will remain as head honcho of Playup Perth, overseeing all vital details to ensure no game goes untested! Whether it be organising the event, running the show or finding games to test, Kate shall be the stalwart leader pushing the team onwards. Nick is an ISO 31000:2009 cultist, which either means he’s studying engineering or he’s some kind of computational demonologist. He is currently Managing Editor over at Gamecloud, covering and assisting with Playups since the early days. He is currently in charge of Playup Perth’s’s social media as well as helping out on the night. And because he’s so good at grammar, he gets to write up all the blog posts too! What a helpful fellow, that ol’ Nick! Carina is Playup Perth’s brand new Event Coordinator who will be managing all things back of house. Carina is certified in project management, currently working as a Project Support Officer, so she’s quite good at making sure things get done. Helen graduated as top smartypants (aka Dux) from Applecross High School, venturing into design and multimedia just as successfully. 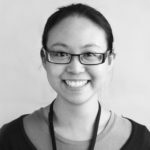 She has worked in the education and government sectors, using her expertise in digital design to create multimedia and e-learning resources. Helen will be redesigning the Playup Perth website as well as consoling us when we start blaming computers for all our troubles. Sofie is well-versed in the Perth gaming sphere. She helped start up SK Games many a moon ago and now helps run LEVEL ONE, a co-working event for local game developers. As if she already doesn’t have enough to do, she also works as Community Manager for Stirfire Studios. She will be helping out with organising events, especially the bar, and running the show on the day. If you see her running around on the night, don’t be afraid to say hi! Jessie is the owner and rightful guardian of The Nostalgia Box, a retro gaming museum and event space. We were so excited to make the Box our new home last year. 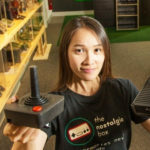 The Nostalgia Box as the coolest place to play games both new and old. 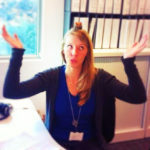 To that end, Jessie will be getting more involved with Playup Perth, assisting in event orchestration and execution. Oh, and making sure we’ve always got a working copy of Duck Hunt. We’re excited to have new faces on-board to help take Playup Perth to the next level! Playup Perth is a bi-monthly (that’s one roughly every two months) Perth game testing night. 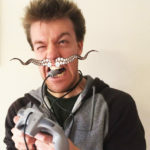 We aim to connect the general public to local developers and help them get feedback on their games. If you’d like to know more, please take a gander at our About page. Change is inevitable in this chaotic world we live in, especially if you’re unlucky enough to live in my apocalypse-prone SimCity save files. 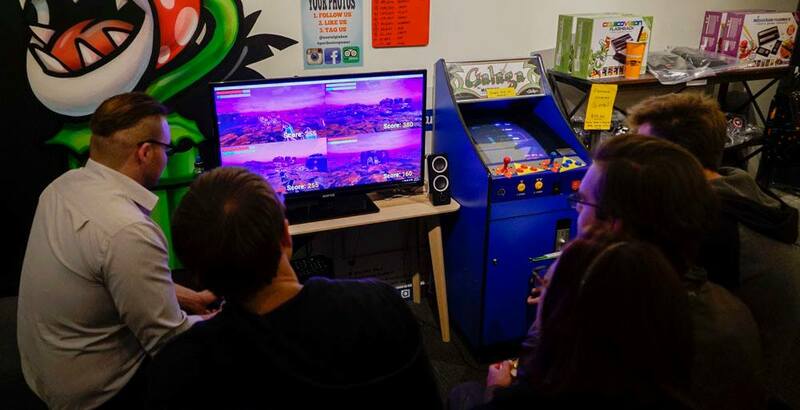 Thankfully, not all change comes with a spoon full of dread, and Playup’s new venue was a vibrant place to bring the freshest games into the fray. The thing that got me was just how cool the Nostalgia Box was. I expected something rad, but I wasn’t expecting to get swept up in waves of (funnily enough) nostalgia! Anyway, we’re here to talk about games being made right now, and there were plenty on show. 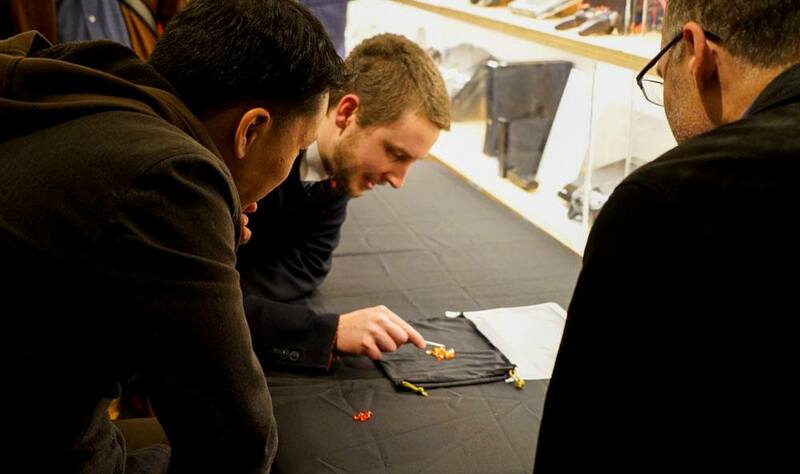 Right in the centre of the room was Screen Fighters, a game all about pushing your opponent off the edge of the screen with gold and dynamite. Both players control a pirate ship in gold-infested waters, and the more gold you get, the more your screen takes over theirs. The trick is that you can shoot along the screen to push it over, or you can just aim to get a heap of gold and win through being the richest pirate of them all. There’s a new indicator to show where you shoot, which is a welcome alternative to not having a clue. It’s one of the niftiest ideas I’ve seen in a while, and I’m very excited to see how it evolves in the future. Samurais aren’t too well known for their rhythmic skills (unless we’re talking about their music), but Samurai Showdown is all about hitting the right buttons at the right time. At this point, the game involves pressing the right buttons faster than your adversary to dominate them in a duel. It sounds simple, but it’s ever so satisfying when you pull it off. If it goes in a direction remotely similar to One Finger Death Punch, colour me keen. Fuelled by ‘80s fever dreams and memes danker than a low-lit cavern, Vectonic is just as ridiculous as ever. The game has you fly around in strange ‘80s hovercrafts on a strange ‘80s wireframe block of terrain, either to destroy your opponent or play cube-soccer with them. This was the first time I got to play cube-soccer with someone, and as new as it is, there’s something so satisfying about trying to get a cube to roll a certain direction by ramming it. Combine that with some camera fixes since the last Playup and Vectonic’s looking in good shape! Glitz lies in the blurred region between Twister and Jenga, and may be a hidden gem of the Perth scene (Eh? Get it?). The game involves stacking gems atop other gems, with the first player to stack up their gems without messing up the last one taking home the glinting hoard of victory. The tweezers were in full swing this time around, and it made me feel too much like an archaeologist on a dig site to remember I’m not Indiana Jones. Hopefully the feedback Wes was receiving is enough for him to take this out of the prototyping phase, because I’m interested to see what else happens with the game! 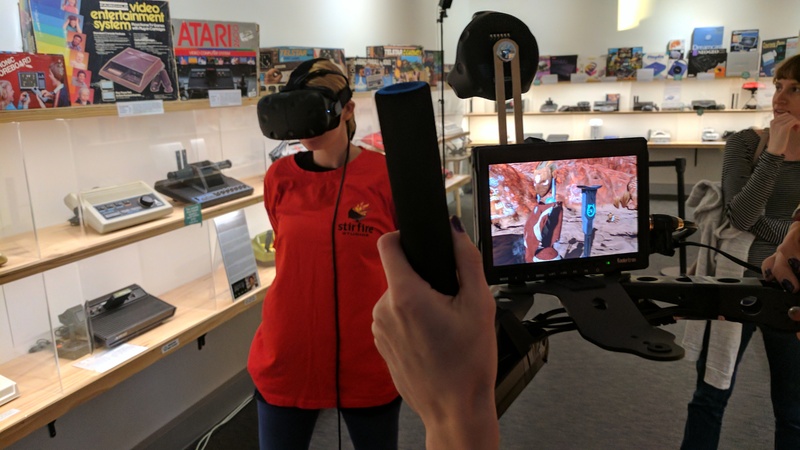 Ambition isn’t in short supply here in Perth, so it shouldn’t be surprising that at least one dev is making something bigger than life itself. Well, bigger in a different way, since Little Bit Lost has you play a scientist who’s been shrunk down to the size of a small ant. It’s a survival game with procedurally generated terrain, and while the game is still in it’s early stages, you can punch an ant in the face. If that’s not an appealing concept, you clearly need to reassess your views on ants, because those things are gnarly. Collateral Damage struck a nerve with me. I like mech games as much as the next guy, but you know what this game looked like? Wall-E meets Armoured Core. You control a little robot with attitude, flying around with an intent to destroy the other robots with attitude and reign supreme as the most attitude-ey robot in all the galaxy. There’s not much else to the game as of yet but what is in there so far has plenty of potential to make something great. As usual, the event was a great time all round for us patrons and developers. 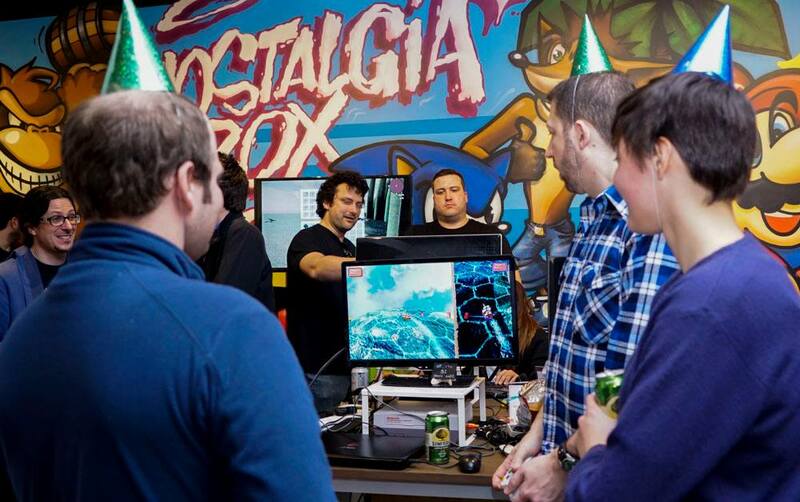 The Nostalgia box proved its worth as a wicked venue, not to mention how wicked all those old consoles are. As far as changes go, this is a pretty good one, and I’m sure the future of Playup will be spectacular within these new walls. 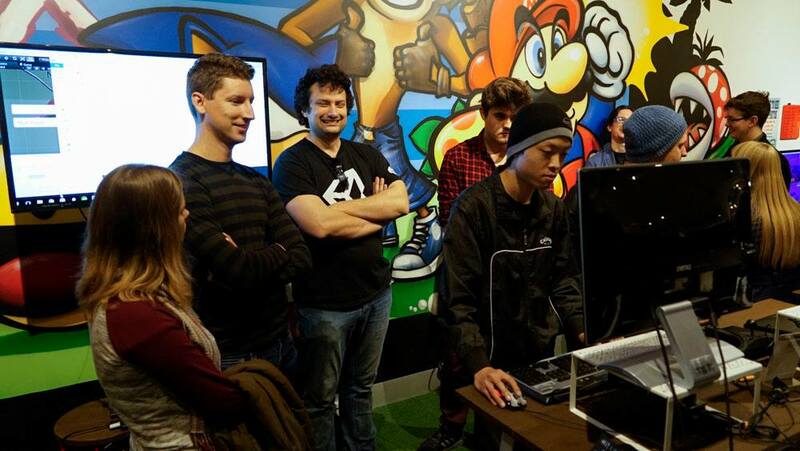 The next Playup will be happening in conjunction with the Perth Games Festival, so keep your eyes open for dates!